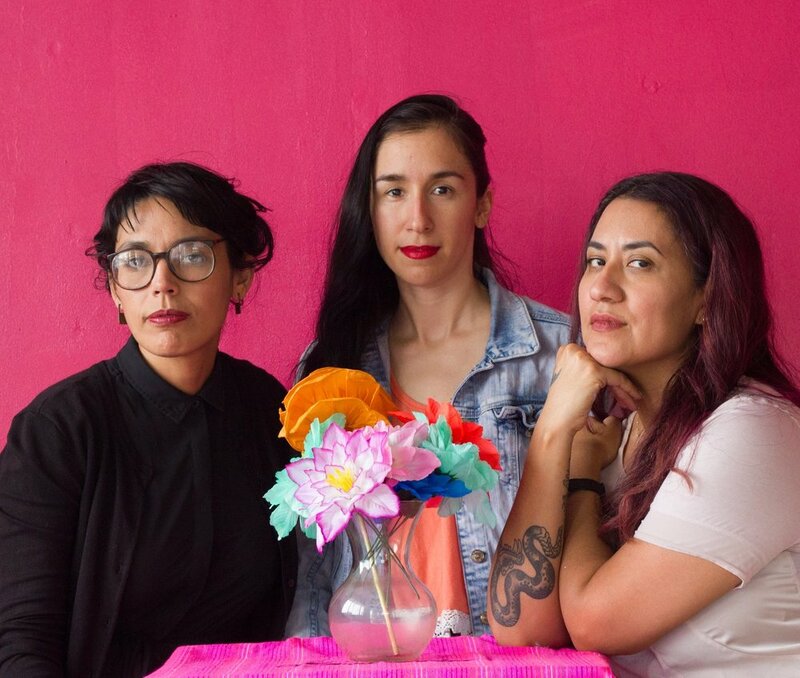 Las imaginistas are a socially engaged art collective working along the US/ Mexico border. The collective works using art as a tool for bridging divers community stakeholders to make lasting change in their communities. The work of las Imaginistas address a wide variety of community development issues: from immigration to equitable economic development. The group upends traditional planning processes by enthusiastically folding in community insights into every phase of their work. Community members not only contribute their ideas, experiences, and skills to Imaginistas projects, they are co-designers of the process itself. In Imaginistas projects, community members are co-collaborators, they themselves are Imaginistas. Our process places a strong emphasis on the radical act of Dreaming. We dream, we build bridges, we build community capacity and we take action to embody and construct new futures. We do this by 1) uplifting the incredible work and culture of our communities 2) building capacity of our communities 3) fostering spaces for creative imagination and 4) bridging community members to decision makers. Imaginistas are not just the imagineers, we are the builders, we are the makers, the do-ers, working to construct a more equitable and just future for our communities.